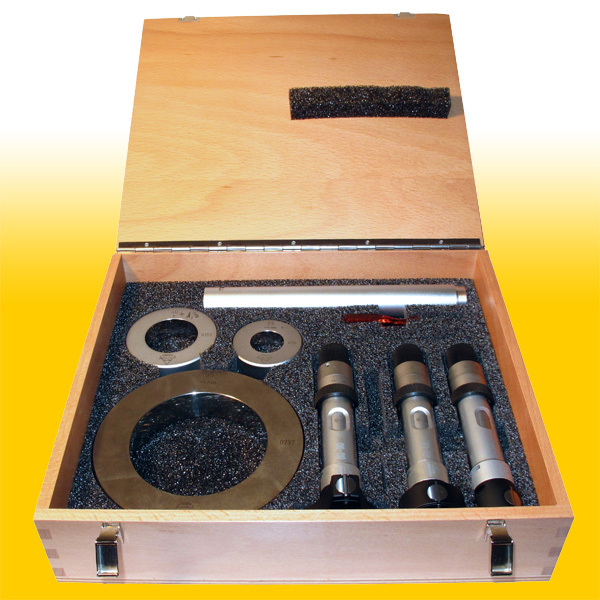 An extra-large measuring range: for diameters from 30 to 400 mm only 6 MICROTEST® Internal Micrometers are needed. By comparison 16 to 20 conventional devices would be necessary. 395 x 320 x 310 mm. 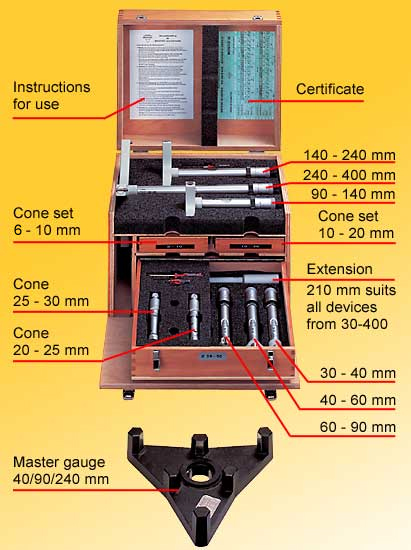 MICROTEST® Internal Micrometers are also available as single instrument or as small set’s with calibration rings. 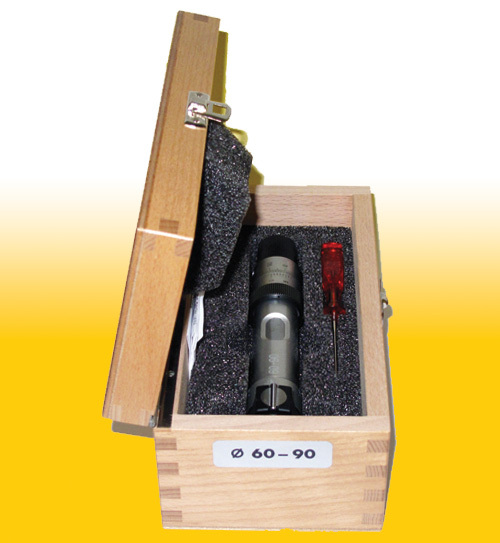 To protect your investment in any environment we deliver our MICROTEST® internal micrometers in a stabile wooden case. Time-saving: thanks to the wide measuring range, fewer MICROTEST® internal micrometers are required, and as a consequence fewer time-consuming checks and adjustments are necessary.